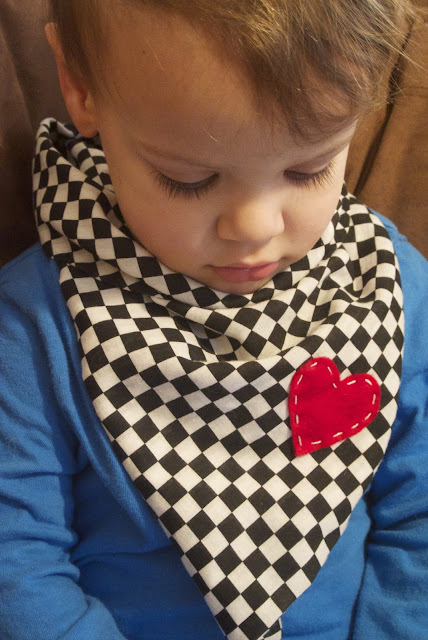 Last year O's BFF gave him this cute little neckerchief for Valentine's Day. His mama made a few and I think they are just so cute...sometimes I wear it around the house! It's a really simple project and you just need a few things! 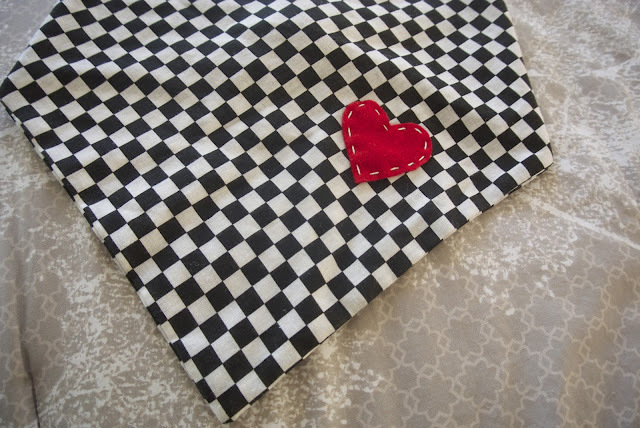 Cut a heart shape out of the felt and sew on with the embroidery thread on the right side of the fabric. Fold the fabric in half diagonally into a triangle with the right sides facing in. Sew the seam together leaving a small hole to turn the fabric right side out. Sew the rest of the seam and iron flat. Add the metal snap closure and you have yourself a cute little Valentine Bandit! This would be so cute for a children's Valentine party favor! Omg that is so cute! He looks so freaking adorbs.